By special request, this pattern was designed for a knitting class at Crafty Frog. 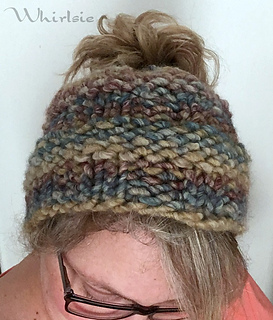 Worked in the round in a super bulky weight, this special beanie will work up so fast! 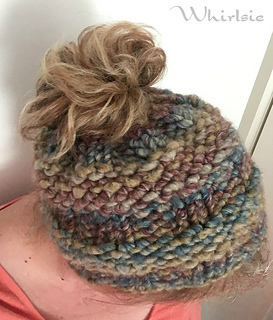 There is a hole left at the top for a ponytail or messy bun, so no more hat hair! You can be warm, and keep your hair out of your eyes. Advanced Beginner - you will need to know how to knit, purl decrease and work in the round.